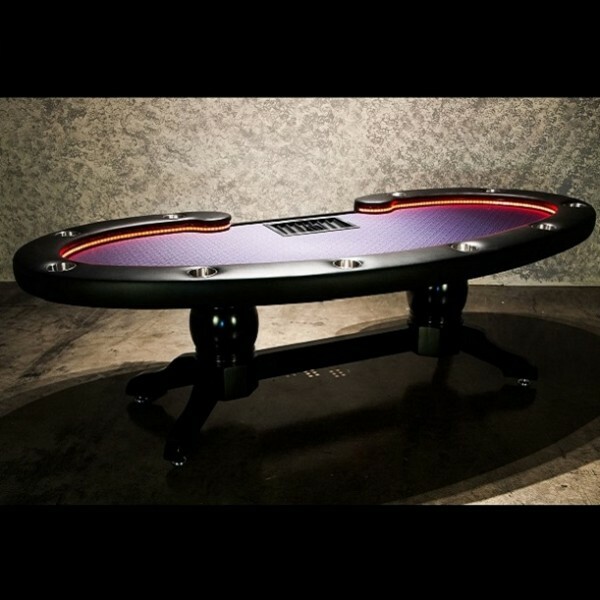 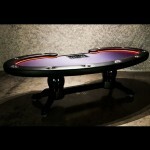 dealer “kidney bean” shaped poker table that is accented by its signature, remote controlled waterproof LED trim. Solid wood “Napa” pedestal legs gives the Lumen HD a strong stance with a clean look which does not overpower the beauty of the gaming surface. 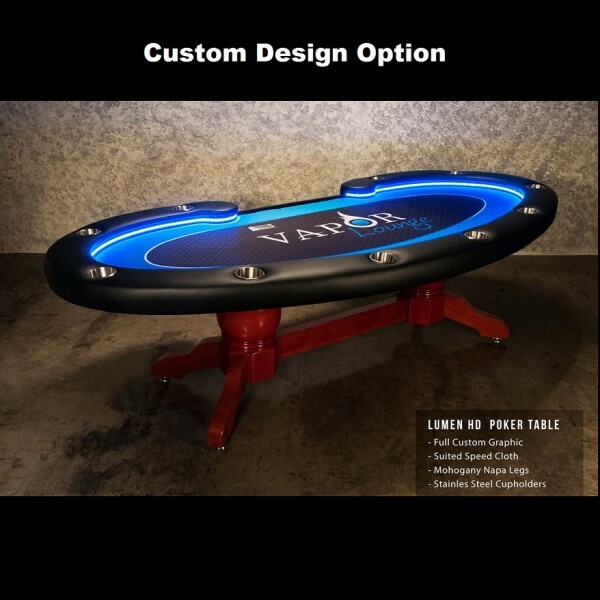 Customization: You can choose from one of our templates with your custom text in the center or select "Your Custom Design" for your own full design/logo on the table. 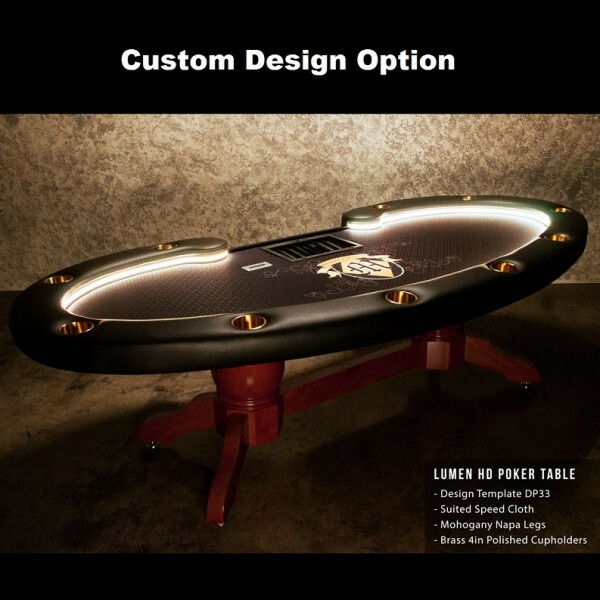 Upon ordering, our graphic artist will work with you and provide a variety of options to customize the perfect table for you. 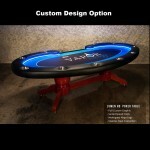 Shipping: The shipping cost will vary based on ship to address and is not factored in on the website. 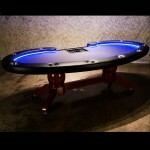 Once you place your order, we will contact you to provide delivery options and will adjust your order accordingly. For a shipping quote first, please contact us.